When Kanye West accepted the visionary award at the 2015 BET Honors, he said, “For the first time in my life, I understand what it’s like to feel humbled.” The rapper went on to speak for nine minutes, addressing everything from racism to his relationship with Kim Kardashian. After mentioning a stereotype about black men dating white women when they find success, he joked, “My wife has dated broke black dudes, so it ain’t got nothing to do with the money.” That wasn’t the only nod he gave to Kim. He also told an emotional story about her father, Robert Kardashian, who found a racial slur written on his car when he was on O.J. Simpson’s defense team. Watch the full speech below to see what Kanye had to say about racism, freedom, and more. 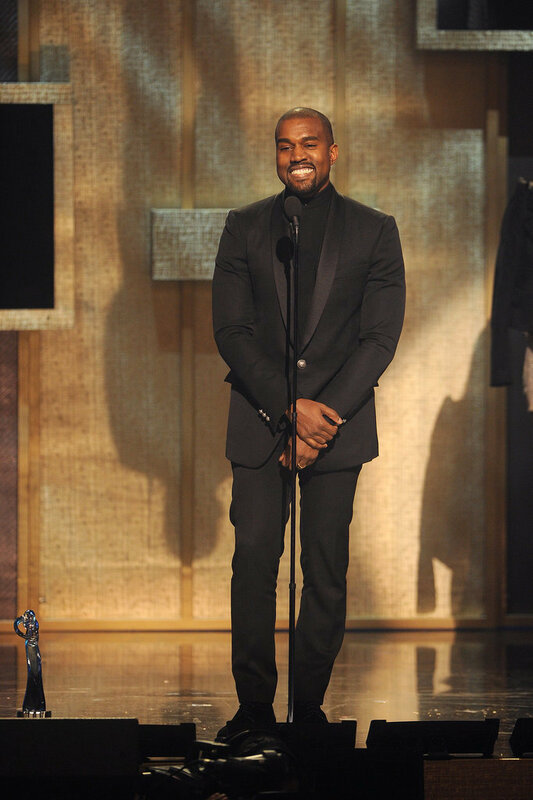 This entry was posted in Gossip and tagged Acceptance Speech, Bet Honors, Kanye West, Visionary Award. Bookmark the permalink.